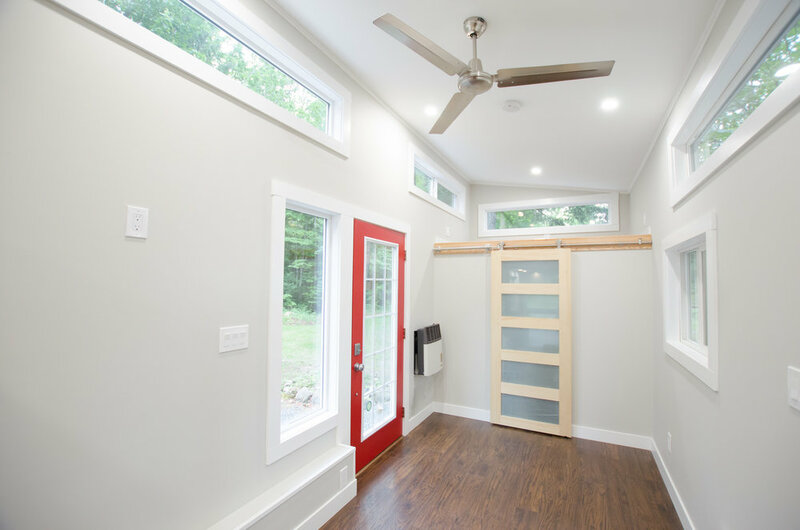 Join Jessica for a video tour of our 24' Fox Sparrow Tiny Home! Mat & Danielle from Exploring Alternatives are back with this guided tour of one of our most popular homes. 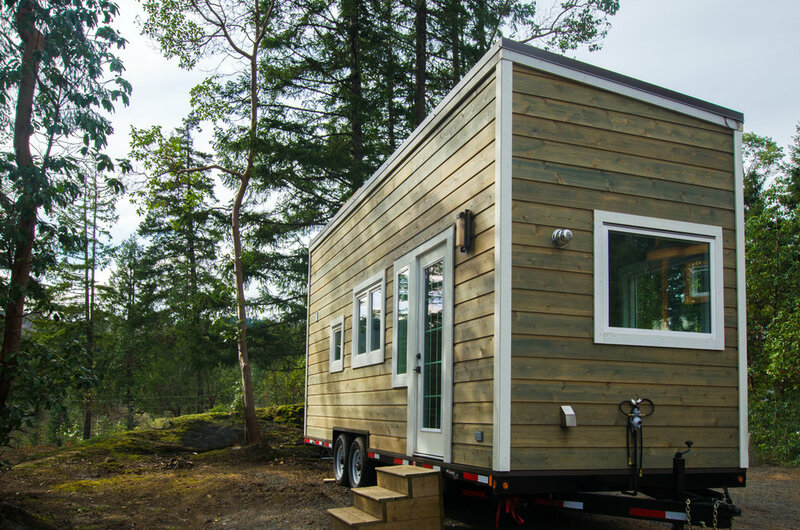 "Jess from Rewild Homes gives us a tour of the Fox Sparrow tiny house. It's spacious, functional, and bright; and it's perfect for a person or couple who plan to work from home! The house is built on a 24 foot trailer, and it measures approximately 160 square feet. It is designed to be on the grid, so there's no composting toilet or grey water tank. It has a spacious bathroom with a full-sized shower, toilet, and space for a combo washer dryer. The kitchen has an apartment sized fridge, a full cooking range, and a large sink. Adjacent to the kitchen counter is a live edge desktop with space for two people to work from home. The hang out space is spacious and comfortable with lots of floor space for entertaining, yoga, etc. The staircase to the loft provides a ton of extra storage underneath, and leads to a 10 foot sleeping loft above, which provides room for a king sized bed. We felt like this tiny house was simple but well designed and would suit our lifestyle perfectly." A big thanks to Mat and Danielle for their excellent editing, skilled directing, and enthusiastic encouragement! If you liked this video, definitely check out some of their other work. They meet a lot of interesting people and share some great ideas. Didn't get a chance to walk through our Fox Sparrow home? Now you can (virtually) with our latest video tour - check it out! 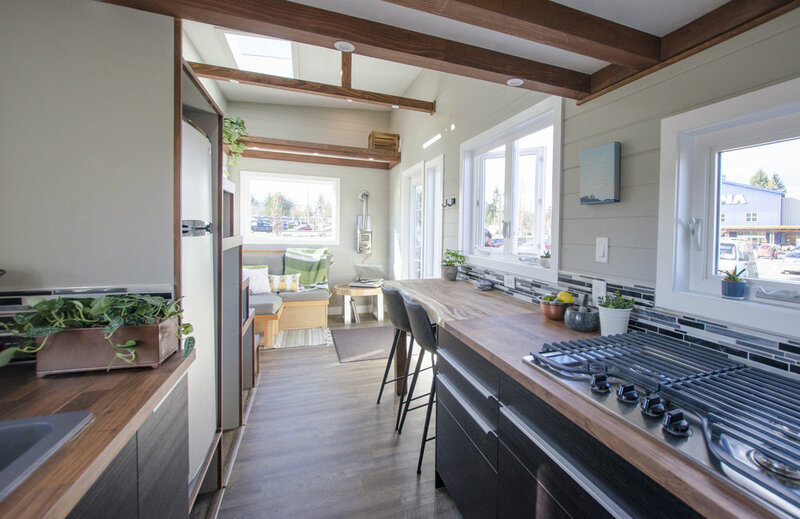 Mat and Danielle from Exploring Alternatives made the journey out to our site to take a tour of our off-grid 24' Blue Heron tiny home and we just love how it turned out. Watch below!